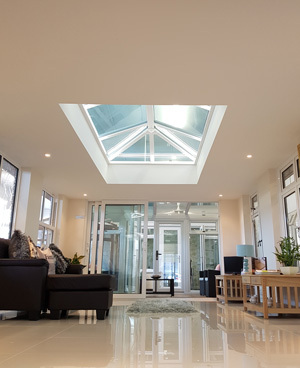 Established in 2006, over the last 10 years we have pleased many customers across the West Midlands – with high quality windows, doors and living spaces. It is no coincidence that customers return to us time and time again. Part of the reason that they do is thanks to our combination of free and friendly advice, fantastic products and an efficient service and installation. Our sales process is simple; we will offer a free quote and if you are happy, the order will be placed. One of our friendly surveyors will measure up your property and we will arrange an installation time and date at your convenience. This smooth process ensures that you will be enjoying your new home improvements in next to no time at all. With half of our work being based on repeat business and recommendations, the success of our work is based on our ability to please customers. We have come a long way since 2006, when it all started. 2006: DW Windows was started from scratch by Dave Walters. A further employee, and then Dave’s brother joined – a team that were still working from home. 2009-2014: Thanks to three years of success, we opened our first shop and welcomed 4 admin staff and a third fitting team. The first salesman was taken on within 2 months, with a surveyor shortly following. After a couple of years, we grew to employ four fitting teams and 20 staff at our Brick Street location. 2014: Meadow Lane premises were secured to aid expansion. 2015: Secured a 4-year contract with a large social housing association in Coventry. 2016: We added various commercial clients to a list of happy customers and hit the 30 mark in terms of staff numbers! 2017: Won two Chamber of Commerce awards for Customer Service and Outstanding Achievement. 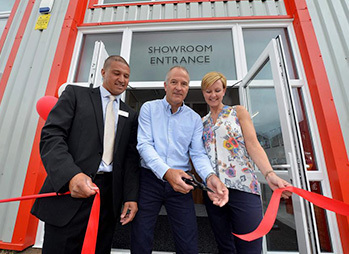 2018: on The Business Coach award for Customer service and opened our third new showroom at 762 Stafford Road, Fordhouses Wolverhampton. Reached 50 staff employed by the company. Expanded the office space at head office creating 3 new offices and a dedicated training room. 2019: Operating with 9 fitting teams. Get in touch with us today to find out more about the team and see how we can help you improve your home! Why choose DW Windows for your home improvements? Fully accredited by a range of third parties, including FENSA, PWF and Which?